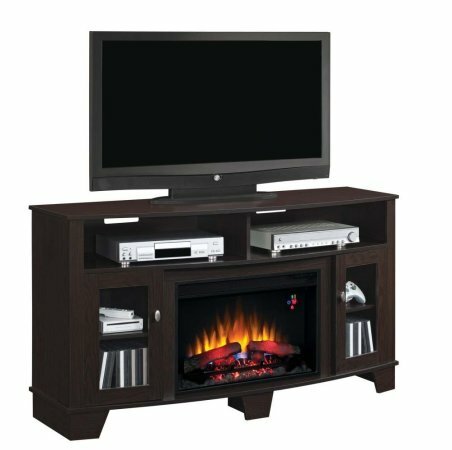 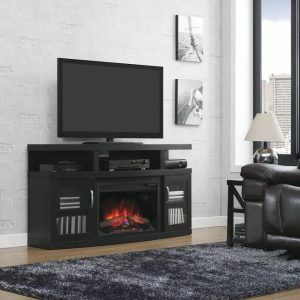 Electric Fireplace Media Console in Oak Espresso features a divided center shelf as well as two side cabinets for storage of all your electronic components and accessories. 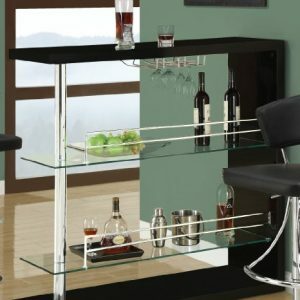 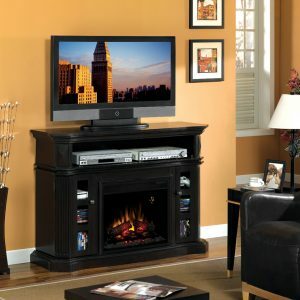 The sturdy, quality construction will support up to a 62-in flat screen television. 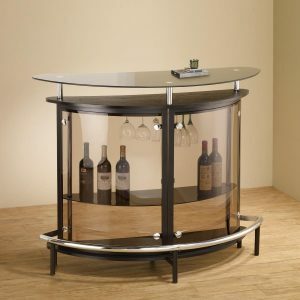 The framed glass doors, nickel door knobs and beveled base top off the visual accents of the unit.